We're all about going the thoughtful route for holiday gifting by tailoring presents to each of our friends' and family members' interests and tastes. What we're definitely not fans of, however, is scouring the mall for hours on end looking for said gift and potentially getting trampled by overeager shoppers (don't tell us this hasn't happened to you at least once). Our solution? Find one really genius gift that all of the women in our lives will love. This year, we'll be gifting our nearest and dearest with any one of the stylish, totally innovative Tory Burch Hybrid Smartwatches. They're chic enough for our most fashionable friends and practical enough for literally every single woman we know, thanks to their compatibility with the ToryTrack smartphone app. Want to avoid stressing over last-minute holiday shopping? See why we're buying the Hybrid Smartwatch for every stylish woman in our lives. We don't know many women who aren't seemingly in a million places at once, truly giving meaning to the idea of doing it all. But for those friends who are especially busy, a watch that helps them stay stylish, on time, and healthy is a must. If they're running around town (or the world) anyway, they might as well track their steps while they're at it, which is one of the many capabilities of the hybrid smartwatch. It also records how many calories they've burned on a daily basis, whether they're clocking in a workout or simply running to catch the train to their next destination. We all have that friend who throws killer dinner parties and events—and, more importantly, actually enjoys doing so. Whether we can relate or not, we know that anything that makes her life easier while juggling the many elements of party planning is a gift she'll truly appreciate (and use!). 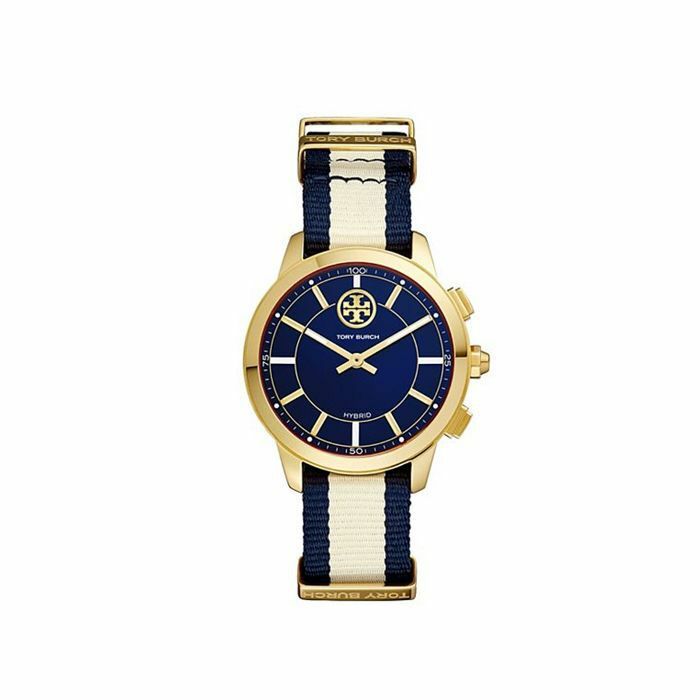 The Tory Burch Hybrid Smartwatch is a fantastic option because she can start the perfect party playlist—arguably the most important aspect of setting the tone of the evening—at the touch of a button. This feature also prevents her from having to excuse herself in the middle of a conversation to change the song (genius). Okay, so maybe this friend isn't a professional chef or food blogger, but she does know all the best restaurants way before anyone else, and she also whips up a meal more artfully than most. Since she likely doesn't keep her phone too close to all of the messy action in the kitchen, her new hybrid smartwatch will come in handy: It vibrates with text messages, calls, and app notifications (of your choosing), allowing her to stay connected even while whipping up a 5-star dinner. 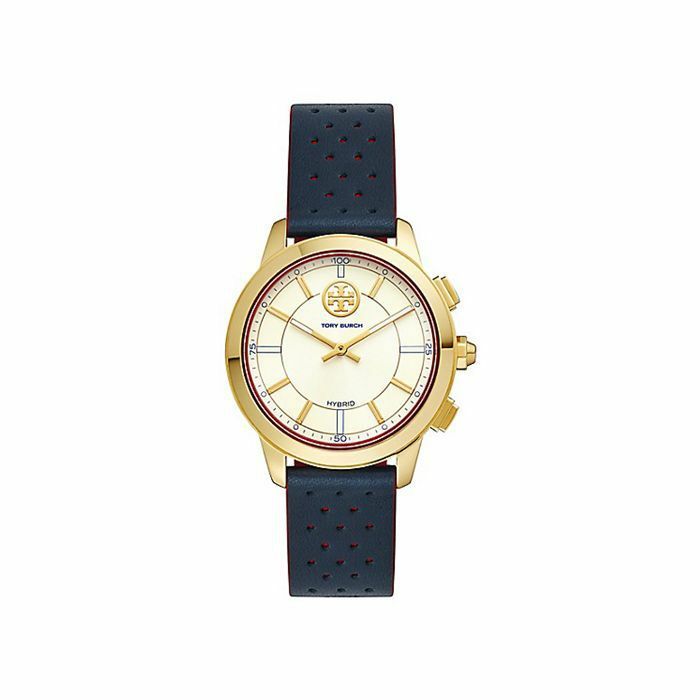 Shop all of the Tory Burch Hybrid Smartwatches to make your holiday shopping a breeze.